This blog post is inspired by the Japanese tidying sensation Marie Kondo and her internationally best-selling book ‘The Life-Changing Magic of Tidying Up’. It has coincided with the lunar New Year coming up this Saturday 28th January. New years are about new beginnings, and the KonMari Method is a perfect way to tune into the energies of the year of the Fire Rooster and all it has to bring us. 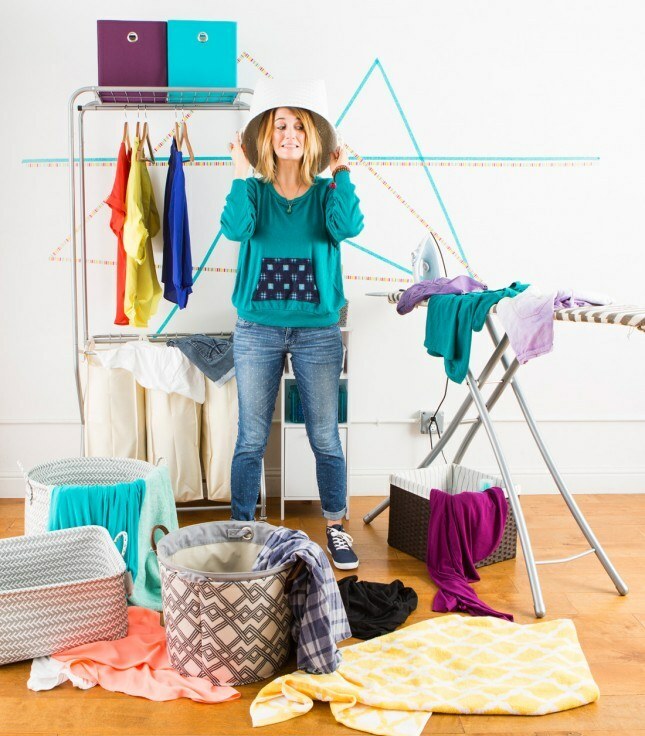 What is the KonMari method and why is it so life-changing? – Choose what to keep based on feeling rather than rationalising. The way to decide is to hold each and every item in your hands, one by one, and notice whether or not it brings you joy. Joy is a body response and the more you notice its existence or lack thereof the better you will get at doing so. Joy? then keep it. No joy? get rid of it! – “But what if I need it?” Be honest with yourself. Why would you keep things that don’t bring you joy? Is it because you feel unworthy, feel obligated to, fear scarcity, feel you “have to” or you “should”, imagine someone will tell you off if you don’t, you’re scared to let go of past things, don’t want to offend someone, are unsure of what you actually like, imagine you can predict the future and what you’ll need in 5 years time, etc, etc? These are not good reasons to hang onto. You deserve joy and can learn to trust you will be taken care of if you follow your joy. – Only you can decide what brings you joy, and it is your responsibility to tidy your own stuff first and foremost. – You will have your own personal measure of joy and how you want to live in relation to your things. This process of discovery will be different for each person and the result unique as well. – If you choose to keep it you must look after it. Treat your things lovingly and with respect. If you treat them by shoving them in a messy corner and never looking at them again, you’re saying you absolutely don’t care about them, so why are you keeping them? ng lifted. It eases anxiety and stress. This is because decluttering your physical space also declutters mental space and allows room for what is really valued and really worthwhile to shine. Once completed, it is done! There is no need to continue tidying forever. There is however ‘daily tidying’, which means putting things back in their place and is quick and easy to do because you have given them a comfortable place already. If you put your house in order, you put your life in order. Possibilities arise from tidying up properly and completely. You may be looking to have a baby, heal from illness, quit bad habits, find a new house, lose weight, change career, rekindle or find a relationship, or start a new project. Being surrounded only by things that bring you joy helps you to see what the next steps are – who and what will bring you joy and how can you continue to have joy in your life? I am half-way through my own tidying event and so far it has brought me increased self-awareness, peace, trust, happiness (yes! no more messy kitchen bench to come home to = pure bliss! ), inspiration, organisation, and most importantly clarity around what I want to manifest over the next lunar year. I have also gained more lightness and resolution for a lot of the past I had been ready to let go of but kept stuffed into boxes and bookshelves with the misguided notions that it would keep me safe and cared for, or I might need it one day. There have been many times an item will block my progress because my heart is saying ’No joy’ but my head or fear is telling me to keep it. The truth is, it felt heavy or yucky or awkward or tense and didn’t fit me anymore; it held me back and I’m glad it’s now gone. Inhabiting my current life (the present) instead and putting energy only towards what will bring me joy has been scary, absurd, promising, slowly exhilarating, and ultimately a joyful way to live. And the more joyful I am, it rubs off onto those around me too. I look forward to sharing my joy in as many ways as I joyfully can! Eli is available for consultation at Mornington Chinese Medicine on Wednesday and Friday. To book your appointment call us on ph: 5973 6886. I have just started this process, and it is very much like “mindfulness for clothes tidying” or “Origami for clothes”. I hate clothes folding, and live out of baskets. This has completely changed that. I now can’t wait to fold my clothes into the beautiful balanced triangle and let it sit resting in the drawer next to it fellow pieces, until its next adventure with me. So great to hear Lisa! We feel the same. Going through the process of tidying has really opened up our minds 🙂 It’s quite liberating really! Solving My Autoimmune Puzzle, Andrea Murphy – Registered Acupuncturist. Thyroid Series Part #1: Why hyperthyroid may exist, even when results are “clear”.